Last night on Sunday, February 10, many of us were shaking. I along with many such fans of Walking Dead was totally confused with what we saw. And the person leafing to our confusion is the new Walker Big Richie. Negan who is played by Jeffrey Dean Morgan returned to the Sanctuary in last night’s episode. This same episode (for those of you watching in the UK) aired at 9 pm on Fox and NOW TV. We saw a full-blown version of zombie Big Richie, and I was quite blown away. This seemed to leave many of you in a confused state of mind, trying to remember, if you saw him in The Walking Dead, ever before. So naturally, our question is, who Big Richie is and who is the actor who plays him. Big Richie is a Walker who was somewhat recognized by Negan when he went back to the Sanctuary. 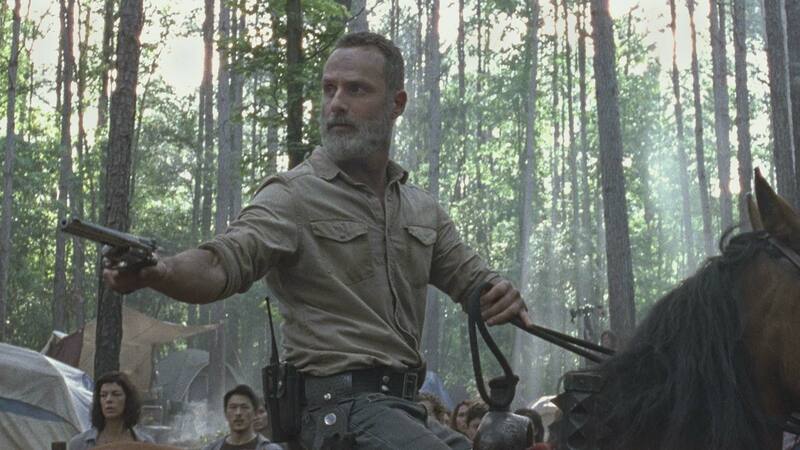 We saw this drama unfold in last night’s The Walking Dead season nine episode nine which was titled as Adaptation. When Big Richie and Negan met, the latter remarked on how he was “loyal to the end.” But no, Negan and Big Richie haven’t met on the show before. Matter of fact, Big Richie hasn’t appeared on The Walking Dead ever before. Now, coming back to the other important question, which Big Richie is. Big Richie is played by stuntman Anthony DiRocco who has been working in film and TV for quite a while now and has been doing stunts on The Walking Dead since 2015. He played the stunt double for Benedict Samuel (Owen) in five episodes of the show. Episode 10 is coming out on 17 February 2019. It will deal with the Hilltop. Where in, the leader of a group of mask-wearing beasts, a search party sets out on a mission to find two of their missing friends. Stay tuned to know more.